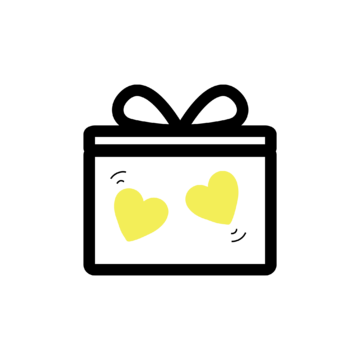 Iced honey lemonade, boisterous crowd, and a lot of yellow. 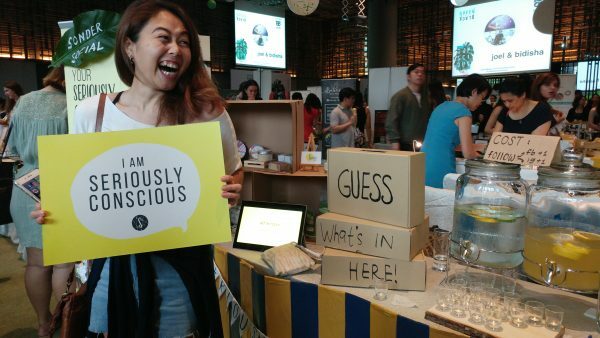 Our launch earlier this month at Singapore’s biggest conscious festival ‘Green Is The New Black’ was so much fun! We brought along our favourite goodies that have graced Sonder Social so far – honey, body scrub, organic nuts, and coasters. You lucky ones even got a go at guessing what goes into our upcoming Gratitude box for our giveaway! Free drinks and games aside, our highlight was meeting each and every one of you. Here are the six types of people that came and left an impression we could not forget – can you identify yourself? Your curiosity drew you to our bright yellow lemonade stand and we’re glad you stopped by to chat! You asked what we are about, and got us excited to share the gifting experience we’re bringing with Sonder Social. We hope your inquisitiveness push you to explore all things #seriouslyconscious! You inspired us, sharing how your journey towards conscious shopping has made you think twice when purchasing from mass produced markets. You wore clothes whose makers you know of and we learned so much from the brands you care for. 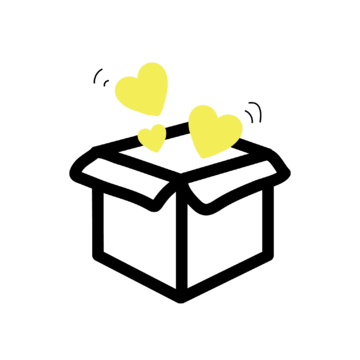 Now our list of conscious brands to support has since grown because of you! You congratulated us on our launch (thank you!) and told us of your work. 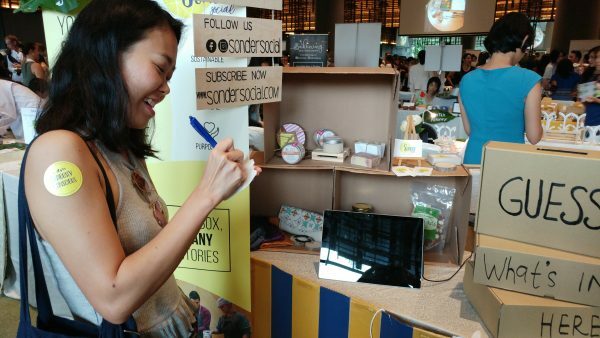 You spoke of your connection with the people you work with, from farmers to artisans, reminding us of why we started Sonder Social in the first place and how we can find ways to collaborate and support the ecosystem of all things socially conscious together. 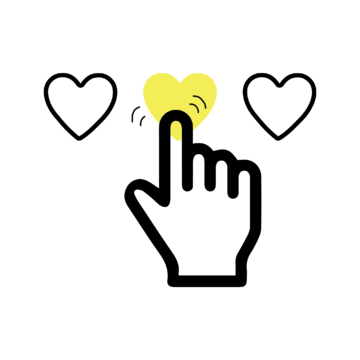 From an entrepreneur driving social mission to another, let’s make this happen! We were all once starters ourselves, so imagine our delight to meet starters – you, who have made the bold decision to switch sides and stand by Planet Earth. We chat about the small ways to go eco-friendly, and hopefully we left an impression on you to embrace social impact! Go, Team Earth! 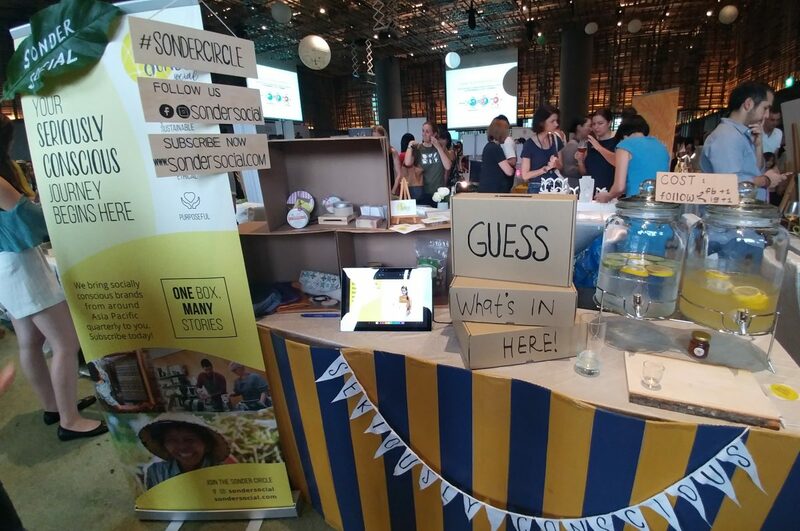 You walked over, smile wide and attention laid on the range of socially impactful goodies we stacked neatly in a corner – you wanted to bring them home. When we told you we don’t sell single items (we sell collections and event gifting), you still patiently listened to the stories behind each item we featured. You left to continue your shopping for the day, not before telling us you will find out more about the brands we work with by following our stories. Nothing beats meeting someone radiating positive energy and excitement, and that’s who you are! You were eager to help us and we wanted to scream ‘YES, PLEASE!’. Well, that happened in our heads! In the flurry of ongoing activities and conversations, we thanked you and remembered you, but we weren’t sure where to start. Now we do! We’re looking for kind souls to collect and donate clean waste paper to us so we can re-purpose them into box fillers. Let us know if you’re waiting to rid off your waste paper! We had a fun time chatting and learning, and we hope you did too. Now, go grab the Gratitude box before it’s all gone.